I dunno what it is but concealers really turn me on lately. 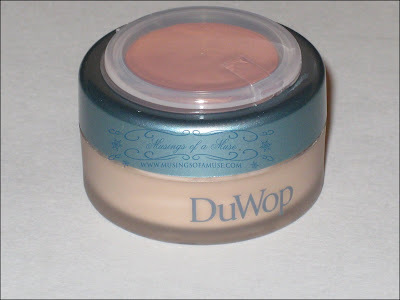 I’m on board the concealer express train and haven’t quite reached my destination as of yet which is why when I seen the new DuWop Circle Block Concealer I was quite excited to have a try. It has it all! A dynamic duo to conceal my dark circles and a water-resistant treatment shield to keep my circles away all day. Right…when things sounds too good to be true that normally means they are. 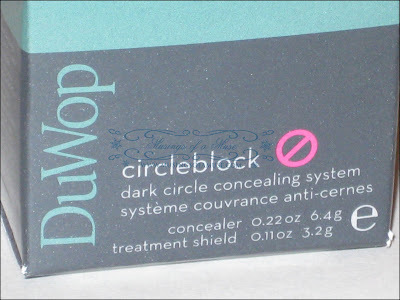 DuWop Circle Block is a dual system which works at concealing dark circles and waterproofing the concealer formula so you have lasting, flawless coverage throughout the day. Well, slap me and call me silly but I’ve no idea why they though it was a good idea to package a concealer with a strange “water-resistant treatment shield” that’s orange in color and actually makes your eyes look tired and more exhausted than when you originally started out. 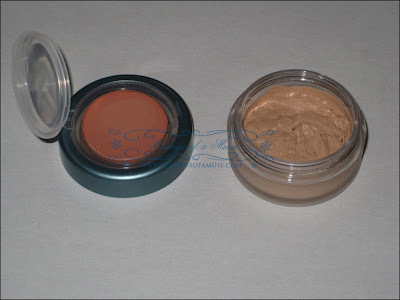 Two steps go into applying the concealer. 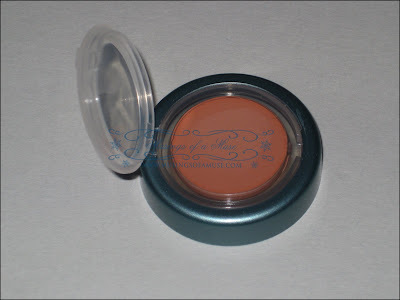 1st you’ll be applying the orange “shield” below your under eyes and proceeding to follow up with the concealer. 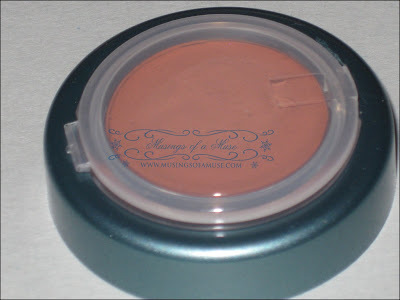 The orange shield is a moisturizing orange, yes orange treatment which is rather strange to apply considering it doesn’t technically blend out to a suitable shade it just stays…well it stays orange. After the orange treatment is on you’ll follow up with the concealer. The concealer has a nice whipped texture which could be comparable to Clarins Instant Smooth Foundation however not as much silicon in the formula. I tried the lightest shade and it’s honestly still too beige. Add to the fact that the shade is a terrible shade of beige plus applying on top of the orange and you come out with a nice hot mess of interesting shades under your eyes. 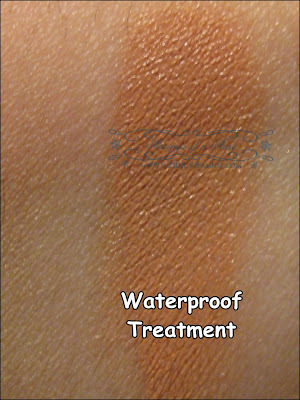 I generally love that they put an interesting effort into the product with a “water-resistant” treatment. That seriously sounded like it’ll be a life saver in the concealer department however it’s an epic fail for me. The orange is terribly strange! I guess they consider the treatment not only a water proof mechanism but also a means of concealing darker circles by off setting them with a salmon shade however for me it just drowns my eyes out terribly and gives me a full on made up look. 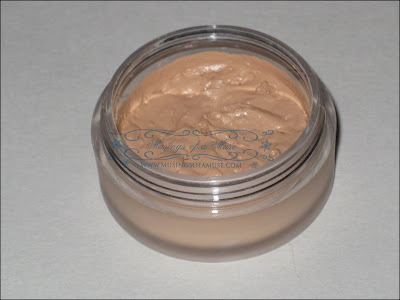 The concealer itself on top of the treatment creases and cakes terribly partly due to it’s whipped consistency I’d say. 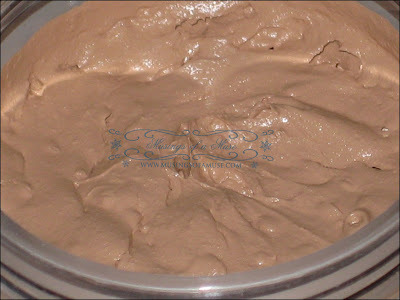 The concealer blends well enough and has a nice texture but it doesn’t absorb too well and patting into place is out of the question as you’ll really end up with a cakey mess. Smoothing on is the way to go but after an hour or so you’ll notice it creeping into fine lines. Overall, I just thought the entire two part system was rubbish. 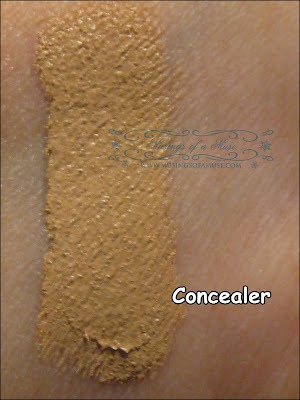 It concealed circles only ok but I have way better concealers that do the job without as much fanfare. I felt like it aged my eyes as well and made me look tired due to the mix of orange and beige shades. Props to an interesting idea but it just fails to work well enough for me to rave. The formula is paraben free but that doesn’t excuse the terrible finished results of the product. 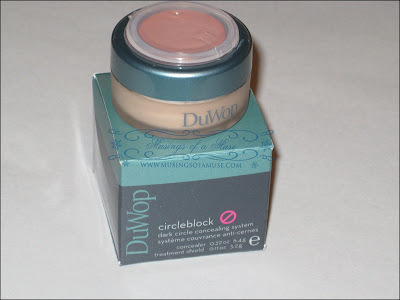 In the end DuWop Circle Block ended up taking the short train home to Sephora as I returned it. $28 USD is just too much to spend on a product that did absolutely nothing for concealing my under eye woes. Rethinking this I love the idea and maybe if they did a clear waterproof treatment, with a more flattering shade of concealer (less beige) please and maybe a finishing powder to complete the entire concealing system. Now that would really work for me. In the end DuWop Circle Block is a no likey for this Muse! Oh, sad. I just read this review as I was seriously considering this product. Maybe I’ll just go with BB or the new Tarte one. Thanks, Muse!! BB is the way to go Andrea 😀 this was a loss for me….I returned it…no likey! I’m planning to go to Nordstrom tomorrow during lunch to buy the BB concealer. I’ll probably just get the concealer instead of the palette…although if I buy it online and spend $75 I can get a free BB eyeshadow–oh the temptations! Just thought I’d mention that the orange is supposed to color correct. On a color wheel orange is the opposite (straight across) of blue. And by color theory, these colors should “cancel” each other out. 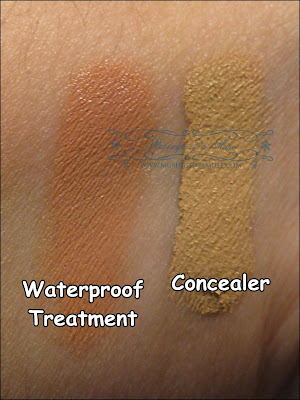 Same theory as color correcting concealers that are green (for redness). I’ve actually seen makeup artists use things like orange lipstick for their circles! You are supposed to apply a very small amount of orange to only the blue/purple under your eye. 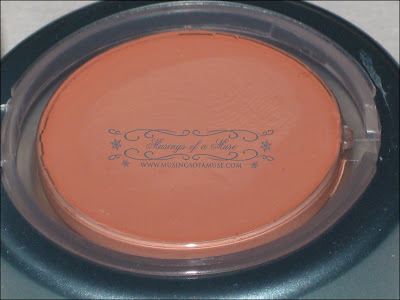 If you apply it all over, this will make a hot mess (as you’ve said, lol) because the orange will show up as orange on your normal colored parts of skin. But if you apply it to only the blue/purple part of your circle and then the concealer on top all over, you should end up with perfectly concealed and color corrected undereyes. Also, one more thing, this will ONLY work if your dark circles have a bluish purple undertone. 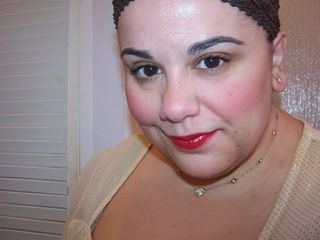 If you have an olive skin tone, and your circles have a green undertone, as a result, this will not work to color correct. Hope I’ve helped! 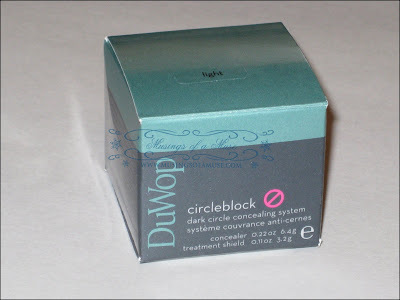 Not to say that the DuWop Circle Block is any good though – I haven’t tried it. I was just trying to help you to understand why they would include an orange “treatment”. lol.